We had some cheese pizzas in our freezer so my wife and I decided to make a couple of them for dinner. Since neither of us is a fan of just-cheese, we decided to doctor one of them up a bit and, since I had to run to the store anyway, I was put in charge of finding toppings. I was in the mood for something other than just vegetables and found this product in the store's meat section for $2.29. After some consideration, I ended up purchasing it. 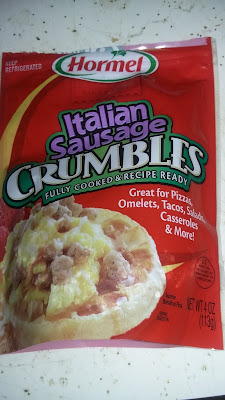 When I saw this product, I thought it would be a perfect compromise for my wife and I. I like Italian sausage on pizza. She isn't as big of a fan. I figured the Crumbles would give me what I wanted while being small enough where she wouldn't care. Plus, I wouldn't have to cook it first. As it turns out, I wasn't a big fan. 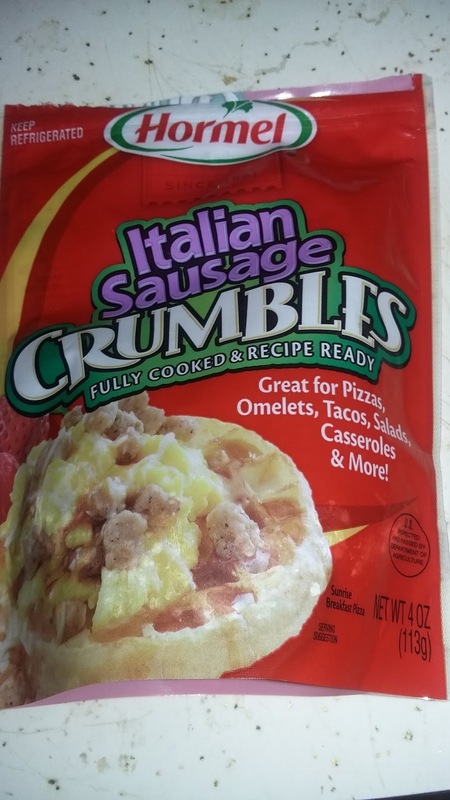 My biggest problem with this product is I thought the sausage was a bit bland. While I'm not a big fan of spicy food, I expect Italian sausage to have a little bit of a kick to it. This had a limited amount of seasoning on it and it just wasn't noticeable when on the pizza. Heck, I didn't think it had that much taste when I tried to eat some of it straight out of the bag. As a result, while I won't tell you not to buy it, it's not something I would recommend if you are looking to add a kick to something (such as pizza) because I do think you'll be disappointed.